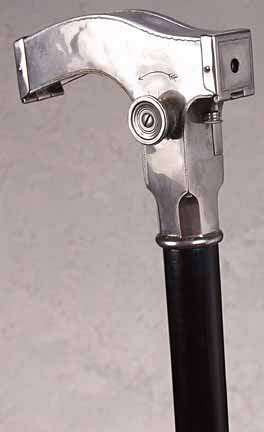 Anthony Ptak pointed me to this vintage cane camera—old school private-eye gear, from the 1920s, 30s, 40s. For covert spies of old, or for the collector. Previous post ← 3D printed fetuses: picturing the real? Pingback: adaptive hacks: a cane meets a bike | Abler.